Information and support for people with Acromegaly. 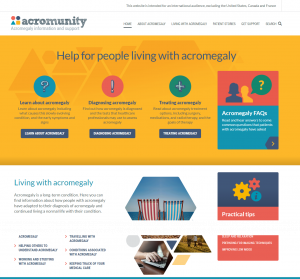 Acromunity is an online resource that Kanga supported Ipsen Pharma to design and develop. It provides information and support for people with acromegaly, their family and friends, and others who are interested learning more about the condition. The content was conceived, developed and fine-tuned with input from patients living with acromegaly and healthcare professionals.